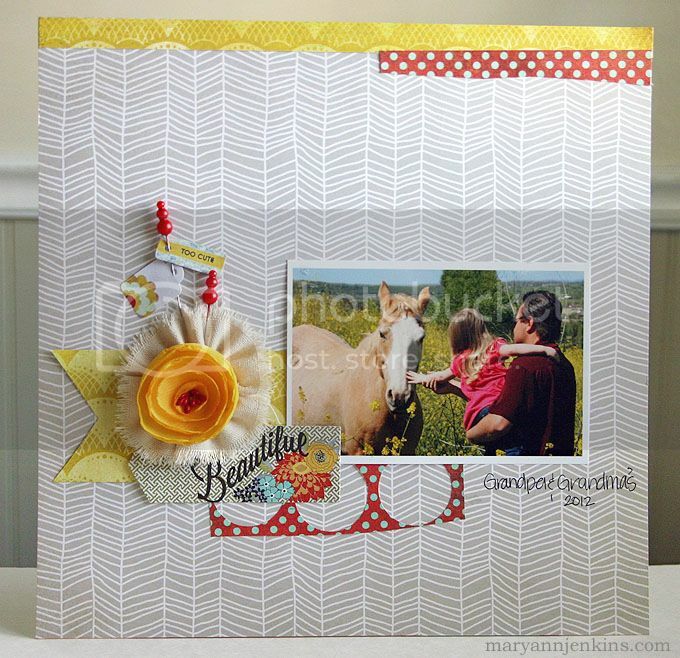 I've got a new layout up on the Paper Bakery blog using "Country Fair", the August add-on kit. I love the Basic Grey pins & tags set, included in the kit, and think they look pretty cute layered and added to the flower! Love the pins and the flower. Great layout! Love how country that is! the "pops" of red make this LO stand out! oh so pretty! love the use of negatives too! Very cute papers for your theme! Love how you made that flower. Super duper pretty! The flower just makes it..love what you did with this great kit! This is gorgeous! 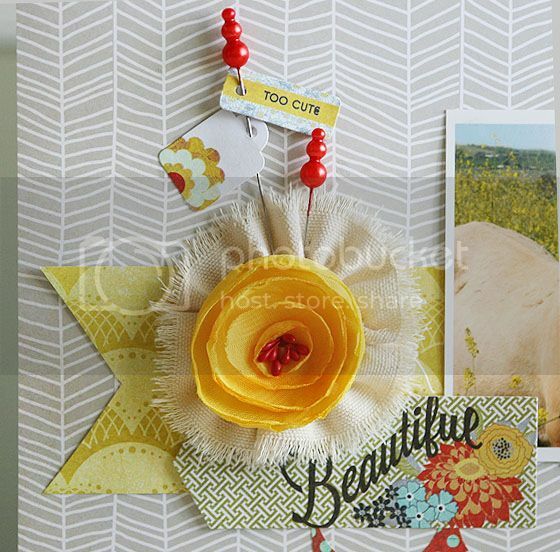 Love the yellow and definitely love the flower!